Lua is a lightweight scripting language, designed for use within programs. It's popular in gaming, and is a general-purpose language, which can provide a familiar syntax across different applications. Our mentors are friendly, experienced Lua developers who will help teach you new techniques and tricks. 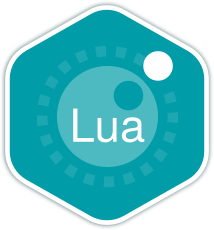 Lua (pronounced LOO-ah, which means Moon in Portuguese) is a simple yet powerful, lightweight, fast, portable and embeddable scripting language. It is designed, implemented, and maintained by a team at PUC-Rio and is housed at LabLua. Lua supports procedural, object-oriented, functional, data-driven programming and data description. It combines simple procedural syntax with powerful data description constructs based on associative arrays and extensible semantics. Lua is dynamically typed, runs by interpreting bytecode with a register-based virtual machine and has automatic memory management with incremental garbage collection, making it ideal for configuration, scripting and rapid prototyping. Lua has been used in many industrial applications with an emphasis on embedded systems and games. The home page for Lua is Lua.org. Enjoy! Once you join the Lua language track, you will receive support and feedback from our team of mentors. Here are the bios of a few of the mentors of this track. Lua perfectly embodies the philosophy of 'less is more'. I am smitten. Lua is an elegent and practical language. I hope I can help you enjoy it! I believe Lua is good for the programmer's soul. I love Lua for its simplicity and effectivness. I write Lua professionally. These are a few of the 80 exercises on the Lua track. You can see all the exercises here. The Lua Maintainers are the brains behind the Lua Track. They spend their spare time creating interesting and challenging exercises that we can all learn from. We are incredibly grateful for their hard work. Here are the bios of a few of the maintainers of this track. Get started with the Lua track. As with everything on Exercism, it's 100% free!